Why do we need to understand dreams? Dreams have remained a subject of mystery and fascination ever since the times of Adam and Eve. An interesting combination of myths, legends and other historical stuff, dreams continues to fascinate mankind in general. Like astrology, tarot, and palmistry, dreams too can foretell innumerable things about us and our fortune and future. Dreams not only unite your body, mind and soul but also help you understand your inner feelings, emotions and happenings in life. They help you relate better with your reality. Do not forget to note down your dreams in a dream journal so that they can be interpreted at a later date. Dreams can be fascinating as well as mysterious. They are completely different from the real world. 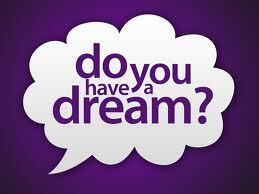 Dream interpretation is the key to understanding the meaning of your dreams. It may sound quite difficult and menacing to analyze your own dreams but it can be done quite easily with a little bit of practice. Take up the instance of a Health Dream. It is the kind of dream which warns you that your health and body needs attention. Again, if you dream that you are experiencing pain in certain parts of your body, it foretells you that something might go wrong with you. These are the two very basic things that we often experience and they are indicators of your health. Apart from palmistry and astrology, analyzing dreams is yet another way of predicting your health and wellness. It is through the meaning of dreams, that at times your subconscious mind starts functioning accordingly. In one of her dreams Jane saw that she was forcefully being fed with food by somebody and she was going on eating it. She found it very amusing and silly. Again after some time she dreamt that when the food arrived in front of her on the table, it was being so badly put into her mouth that she could hardly breathe. After this dream, Jane woke up looking terrified and she was gasping for air to breathe properly. However, when she woke up the next morning, the first thought that struck her was the appalling dream. Sitting down peacefully and recalling the same, she understood the underlying meaning. The fact was, recently she has gained some weight and it resulted as she continued to eat junk food and other stuff constantly. She realized that the second dream made her aware of the fact that it is going beyond her normal capacity and she needs to start working out right away to reduce the accumulated fat. Now it must however be remembered that there are times when the meaning of your dream may not be apparent unless a few months have passed by. Very often we ask ourselves why do we dream? The reason is: whatever happens in our real lives is what comes in our dreams. Dreams are ways which help your subconscious mind to learn to analyze dreams, understand, sort out and deal with our day to day events and life. Throughout the day, the subconscious mind of an individual gathers lot of information through their senses of which one may not even be aware of. So these are the things which come in our dreams and at the time of dream interpretation it is very important to consider the ongoing activities in our normal day to day life. 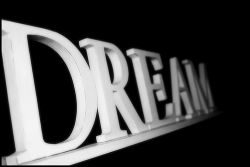 So dreams are definitely 'Sweet Dreams'; but never go head over heels for the purpose of analyzing dreams instantly. It will be wise to wait, watch and then act!